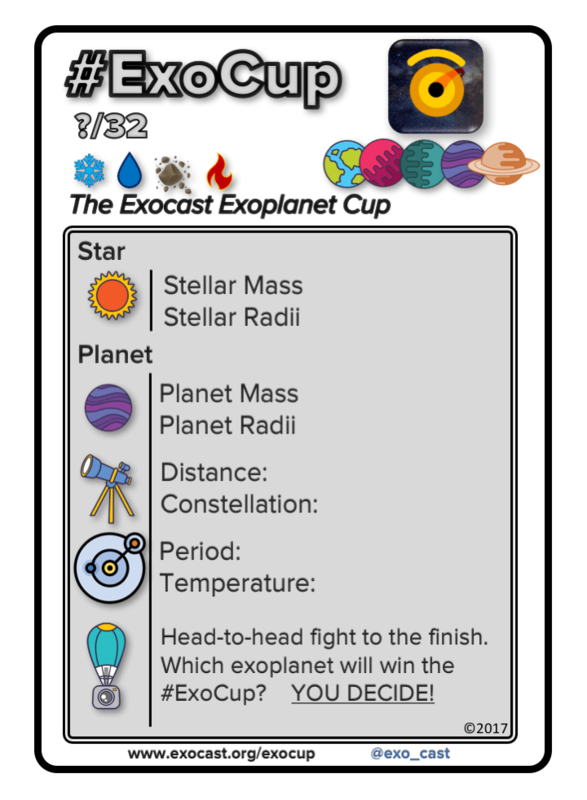 Head-to-head fight to the finish. 32 exoplanets go in one becomes the champion! 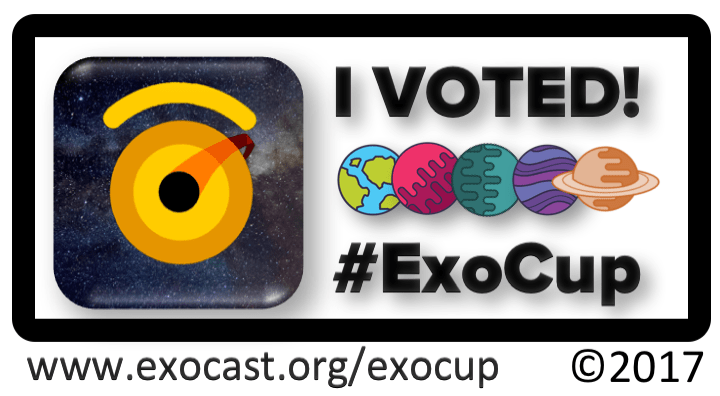 Kepler-10b takes the ExoCup Championship for 2017. 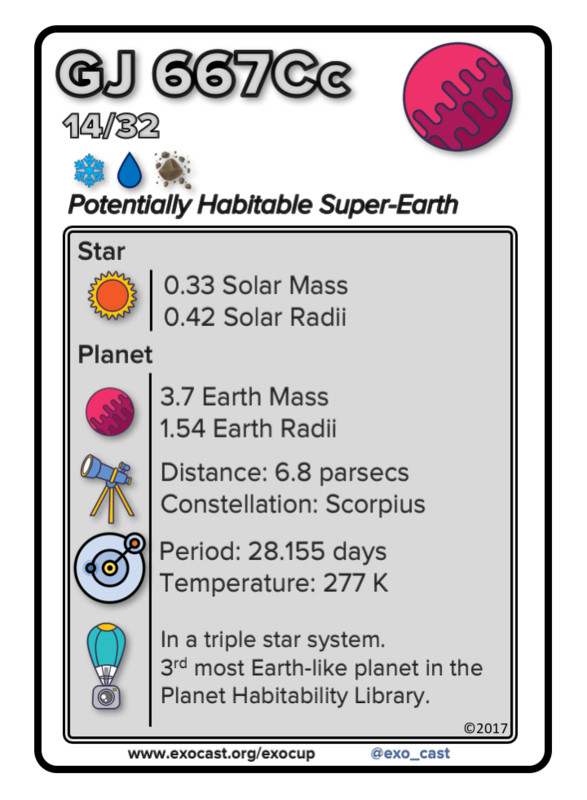 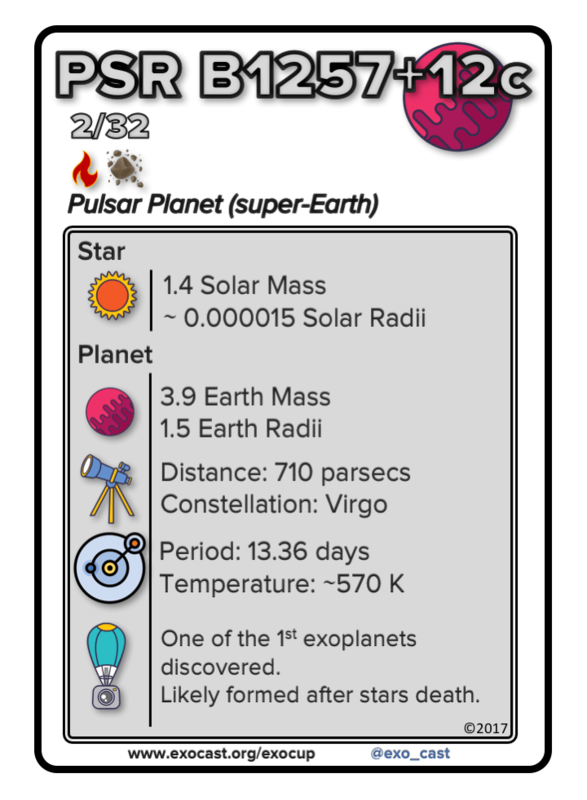 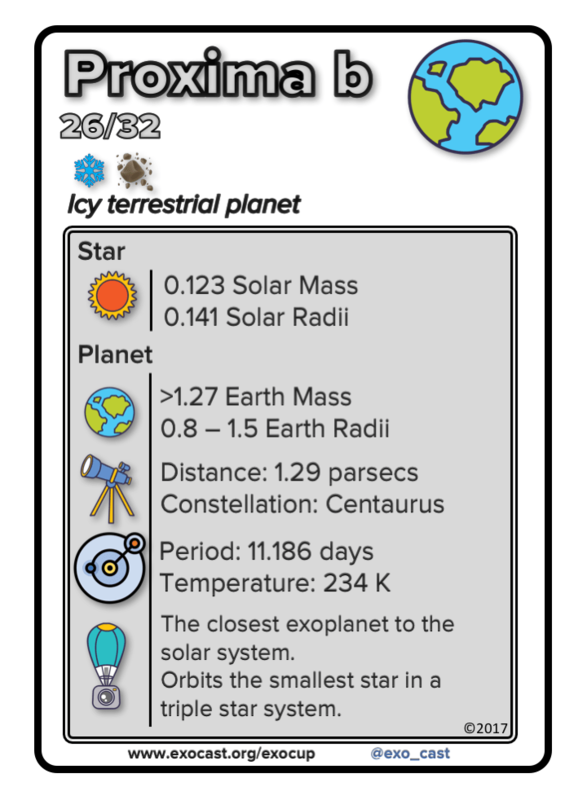 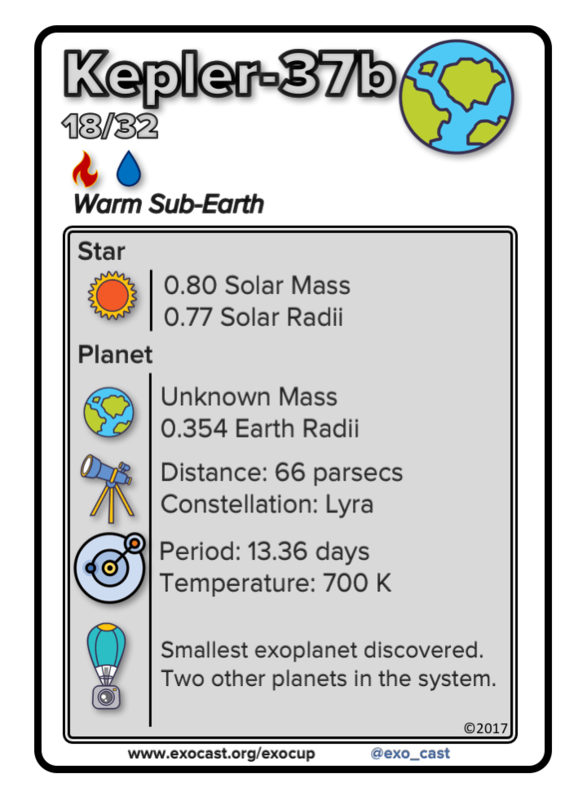 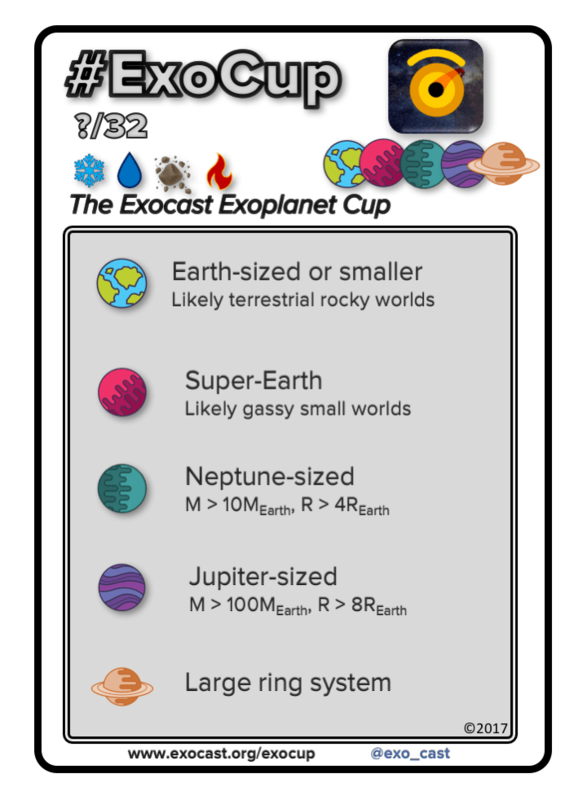 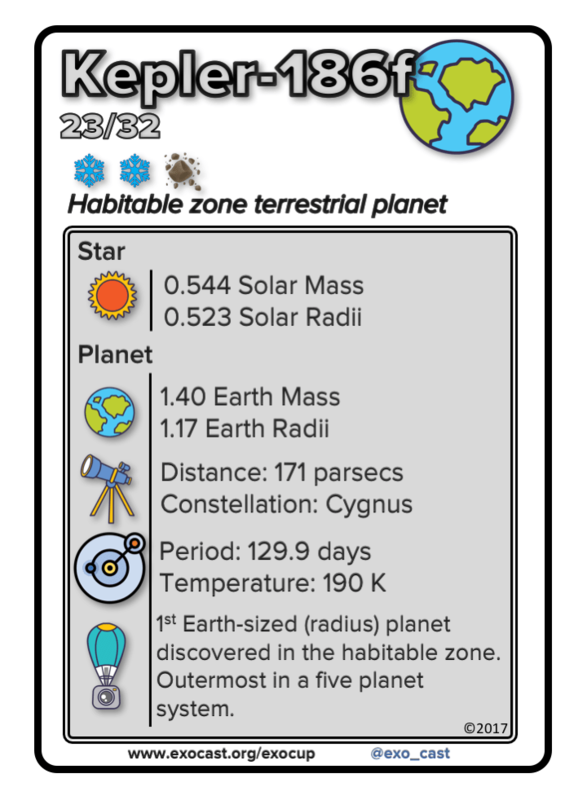 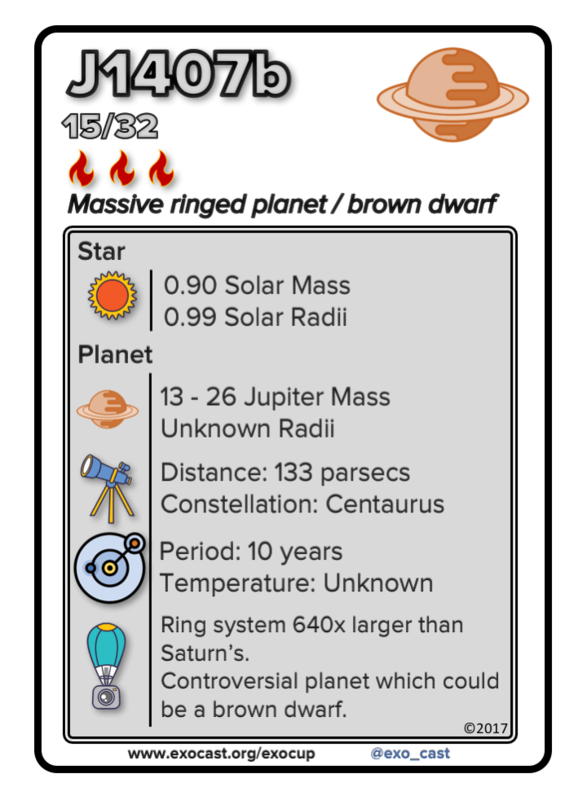 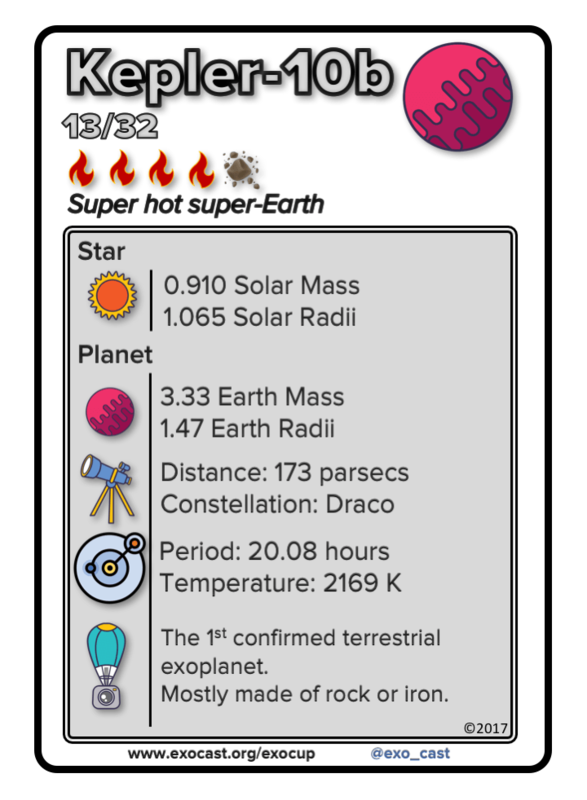 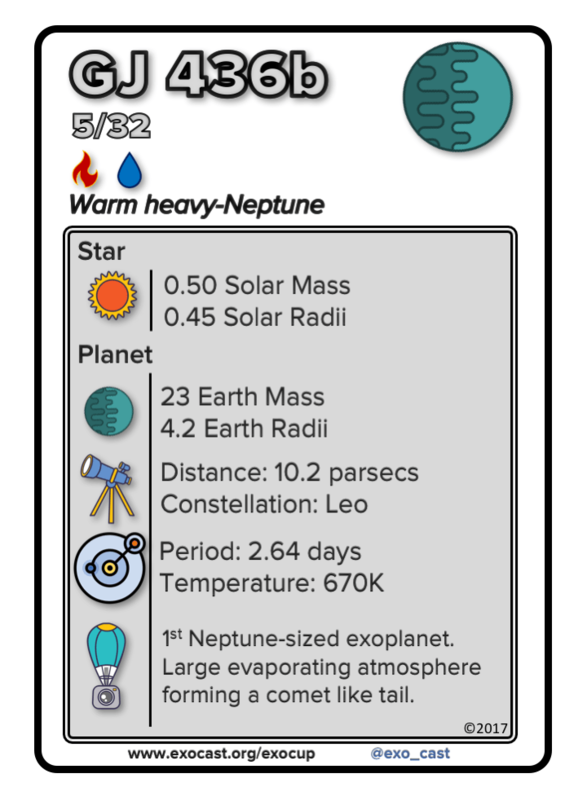 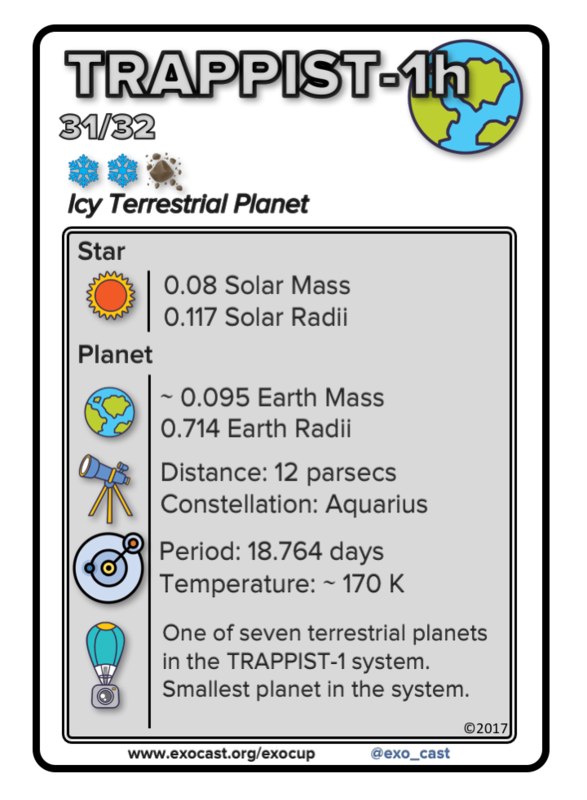 You can see fun facts about all of our competing exoplanets by checking out the Exocast ExoCup cards. 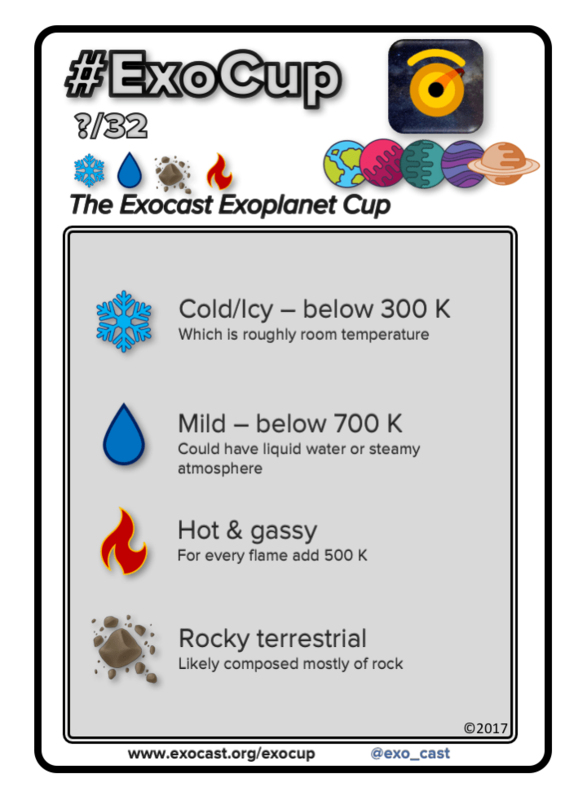 The icons were purchased and edited for use in these cards, please feel free to use and share the cards with citation to Exocast (@exo_cast) ©2017.